Public speaking – we either love it or hate it, right? Well, studies show that most of us hate it and list it as a top fear. It’s believed that glossophobia, the fear of public speaking, affects up to 75 percent of the world’s population. That number is startling given we more than likely have all been in front of a crowd (be it large or small) to share information or give a presentation. Even if we try to avoid it at all costs, chances are that we will find ourselves in a situation where public speaking is required. The good news, though, is that public speaking and leadership are skills that can be developed and improved! 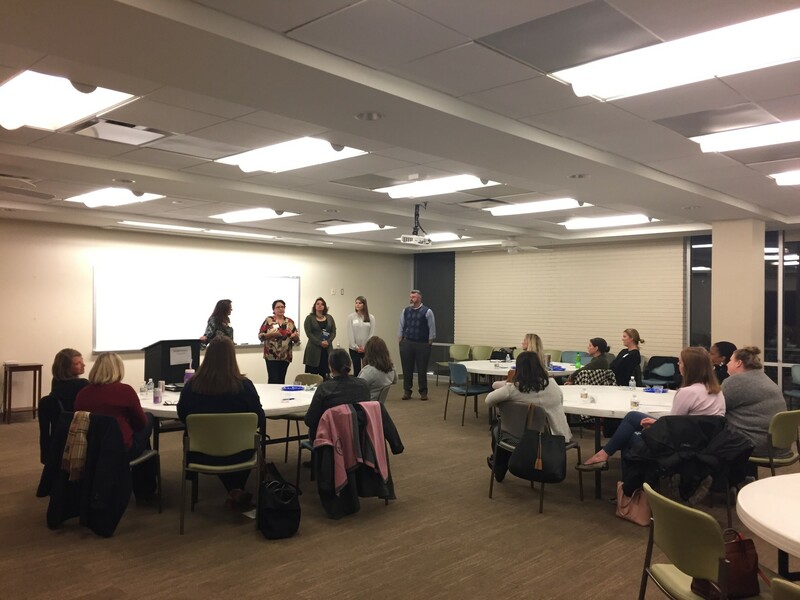 Knowing that public speaking affects so many of our daily lives (personally and professionally), JLR’s Team Training committee invited a local Toastmasters International club to provide our League members with knowledge and training on public speaking. If you haven’t heard of Toastmasters International, it’s a nonprofit educational organization that teaches public speaking and leadership skills through a worldwide network of clubs. Its mission is to empower individuals to become more effective communicators and leaders. Toastmasters provides a mutually supportive and positive learning environment. It’s evident through their typical meeting agenda they are constantly encouraging their members to engage and participate as much as possible. Having a supportive community helps combat fears of public speaking. A speech is a vehicle for learning how to speak. We all know how to speak, but do we do it effectively? A speech can take many forms but is generally defined as a prepared address or discourse delivered to an audience. The audience can be your three coworkers during a quick staff meeting or a crowd of over 100 people at a conference. Understanding that speeches are just a tool to increase our effective communication skills helps reduce anxiety and stress. Evaluating your speech is just as important as creating and presenting your speech. Receiving immediate feedback provides multiple benefits and is the heart of the Toastmasters educational program. You must learn how to give and receive helpful feedback and evaluations to continue to grow. Make sure your audience is aware of your speech’s goals. In order to have an effective evaluation of your speech, it is important to share the specific goals and points that the speech should cover. This step sets expectations and helps your audience provide the most relevant feedback. Be an active listener. Suspend judgement or reaction to what you hear and carefully consider each comment and suggestion. You’ll learn how to use constructive criticism to motivate and genuinely help you improve and grow. Provide honest feedback in a constructive manner. Be mindful that this is strictly your opinion, and provide feedback on what the presenter did well, areas where they could improve and provide specific recommendations related to what you mentioned. Evaluate what the speaker does and not who the speaker is. The ability to analyze a speech will accelerate the growth of any speaker. Give your opinion in a friendly, direct, non-threatening manner. You are providing feedback on the content provided, delivery skills and techniques, and overall reaction to the speech. Don’t assess personal qualities—only assess actions related to the speech.